Crockpot Chicken Cacciatore is a meal that is easy enough to be a family staple, but impressive enough for a special occasion. Chicken Cacciatore is an Italian meal my family made on special days when my parents were really trying to do dinner up right. The result was delicious, and something I wanted to eat more often. Over time I was able to decide on just the right combination to make it into an easy crockpot meal! 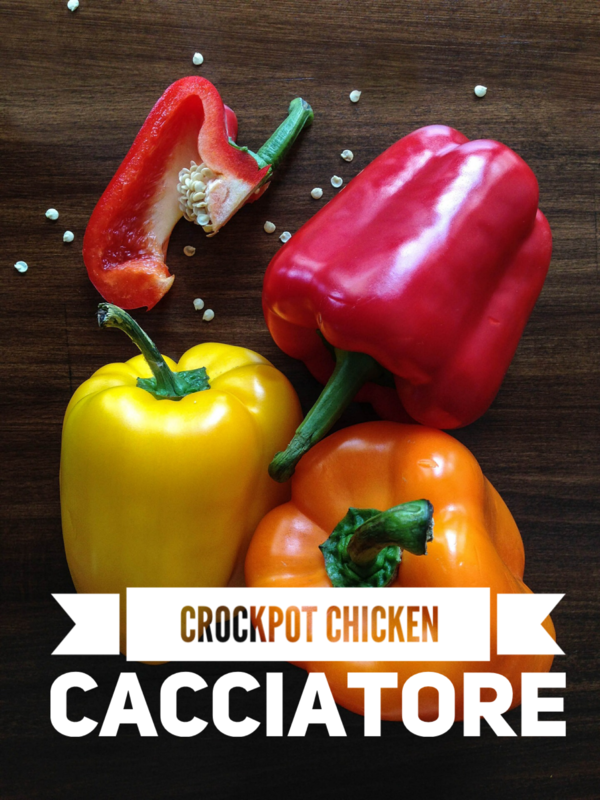 Crockpot Chicken Cacciatore will not disappoint! Chicken cacciatore is not the most common meal to find at an Italian restaurant. In fact, I think I’ve seen it only one time, which makes no sense. The layers of flavor in this meal are unlike others in Italian cooking. The cooking pattern I watched in my parent’s kitchen growing up took half the day and a lot of ingredients. It was quite the challenge to attempt to make an easy mode version, but I was determined! If you’ve read any of my other recipes, you know I’m a fan of simple recipes. 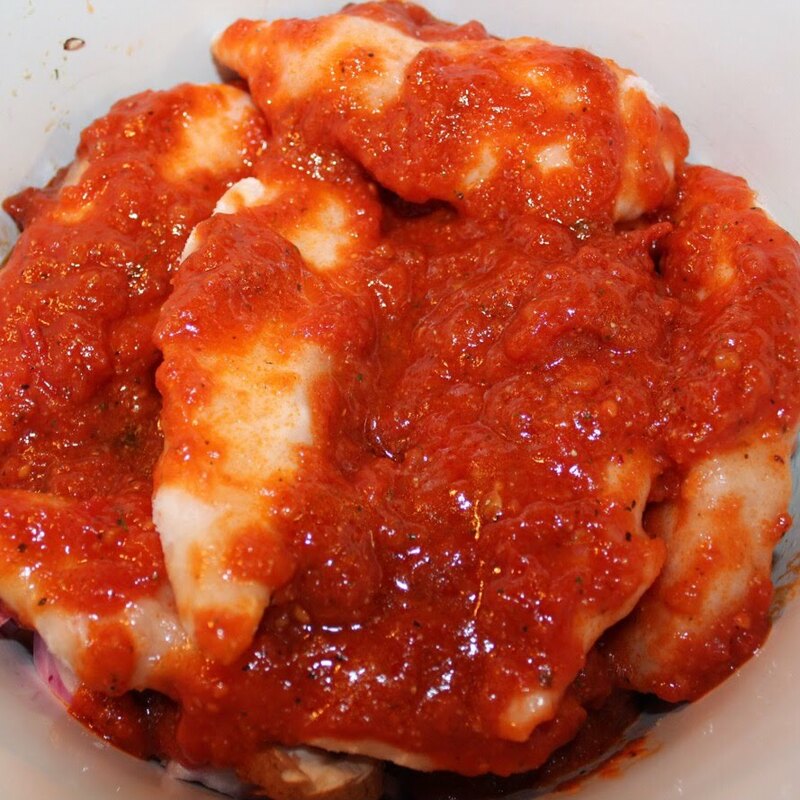 For Crockpot Chicken Cacciatore I was thrilled to find some excellent sauce and flavor packs that significantly cut down the ingredient list. Gathering and measuring less items sure is simple! Place vegetables in bottom of crockpot. Cover with chicken. In a bowl mix the sauce and seasoning. Pour on top. Cook on high 4 hours or low 6. Serve over pasta tossed with the other 1/2 jar of sauce and parmesan cheese. Helpful hint: toss drained hot pasta in parmesan cheese. This will help spread the parmesan equally and keep the pasta from sticking together. Add the other 1/2 jar of sauce to your pasta and voila! A simple chicken cacciatore! 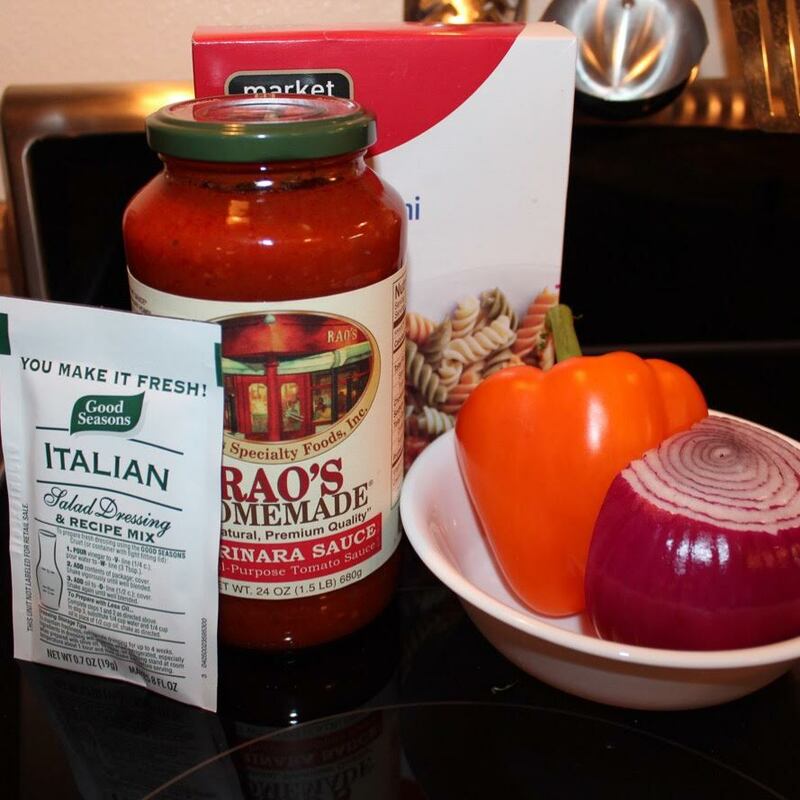 For best results choose a quality sauce like Rao’s or Victoria. Yes it is pricey, just try it and you’ll understand. This meal impresses every time. Make this for your family, friends, or a flame. You won’t leave your guests hungry, in fact they’ll probably ask for the recipe! I wish I had a picture of a plated serving of this crockpot chicken cacciatore, but it just goes so fast and is so good, I never snap one in time. The aroma while it cooks brings everyone to the table so quickly too! 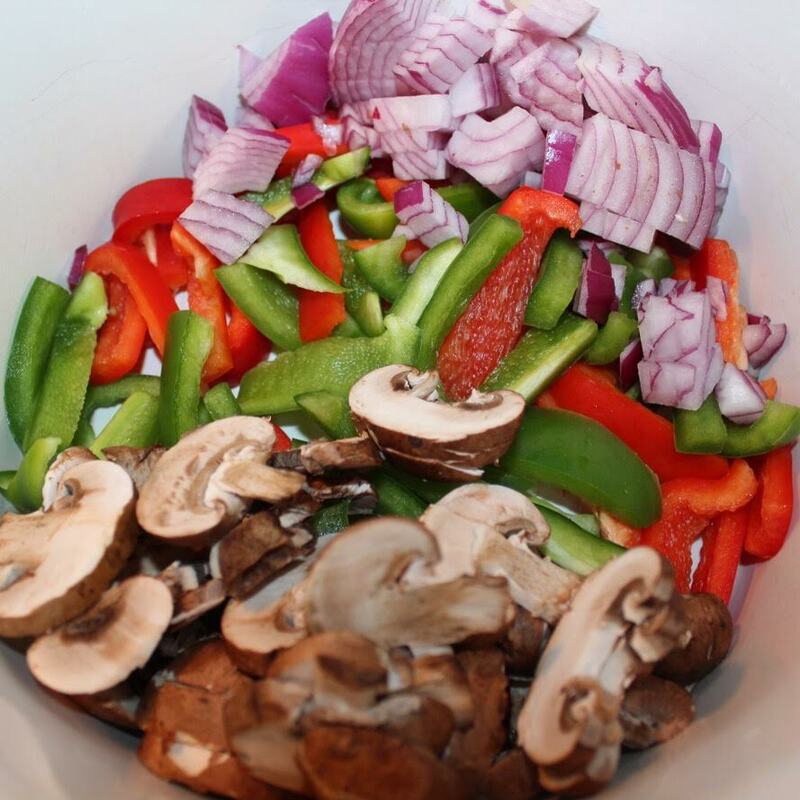 Crockpot Chicken Cacciatore is customizable for different flavors as you like. 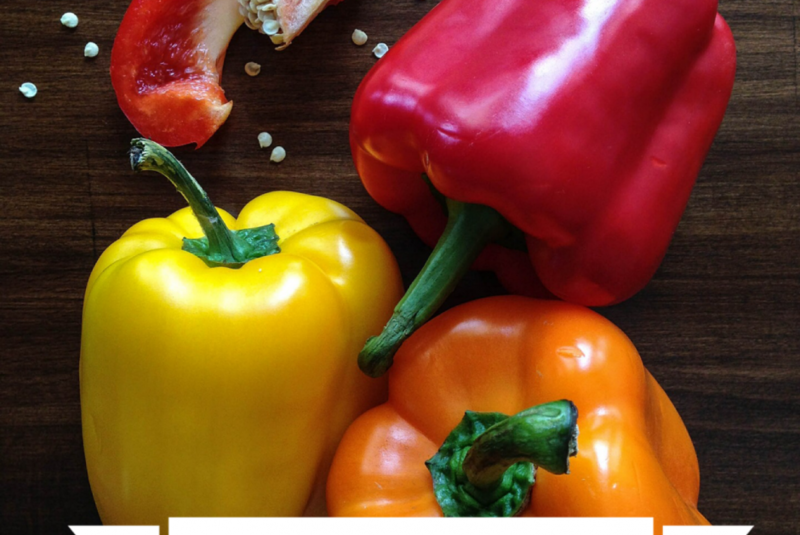 Changing up the bell pepper colors is one super simple way. Adding mushrooms or wine will make for richer, deeper flavor. I’ve made all kinds of combinations, and they all turn out delicious. The key is truly a quality jarred sauce, so go for it! Have you ever had chicken cacciatore? Try this simple crockpot version and share your thoughts with us!